to France each year—eh bien! purple blood in these pages. just past noon or after midnight. to the other side, and tourists stop to watch. in metal. A blue rabbit crouches in a square. not to look at the time. every time a train goes by. count the layered cotton smoothed like fur. Some incidents may or may not have happened. 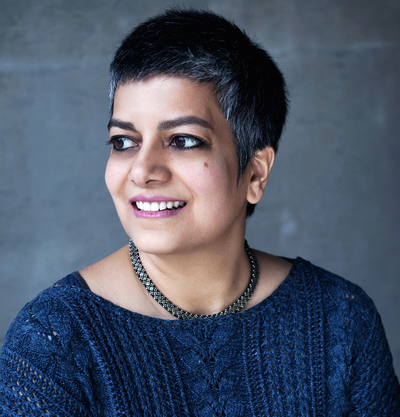 Born and raised in Kolkata, India, AYESHA CHATTERJEE has lived in England, the USA and Germany, and now calls Toronto home. Her poetry has appeared in several magazines including nthposition, Autumn Sky Poetry, The Guardian online, Magma Poetry as well as being featured by the (Great) Indian Poetry Collective. Her first collection The Clarity of Distance was published in 2011 by Calgary-based Bayeux Arts. She is currently President of the League of Canadian Poets.